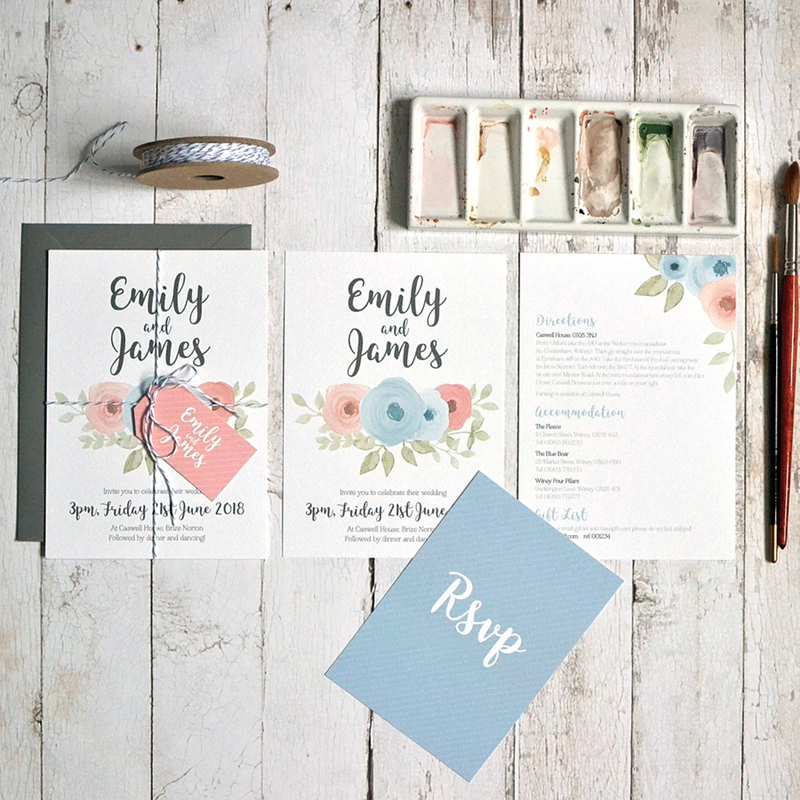 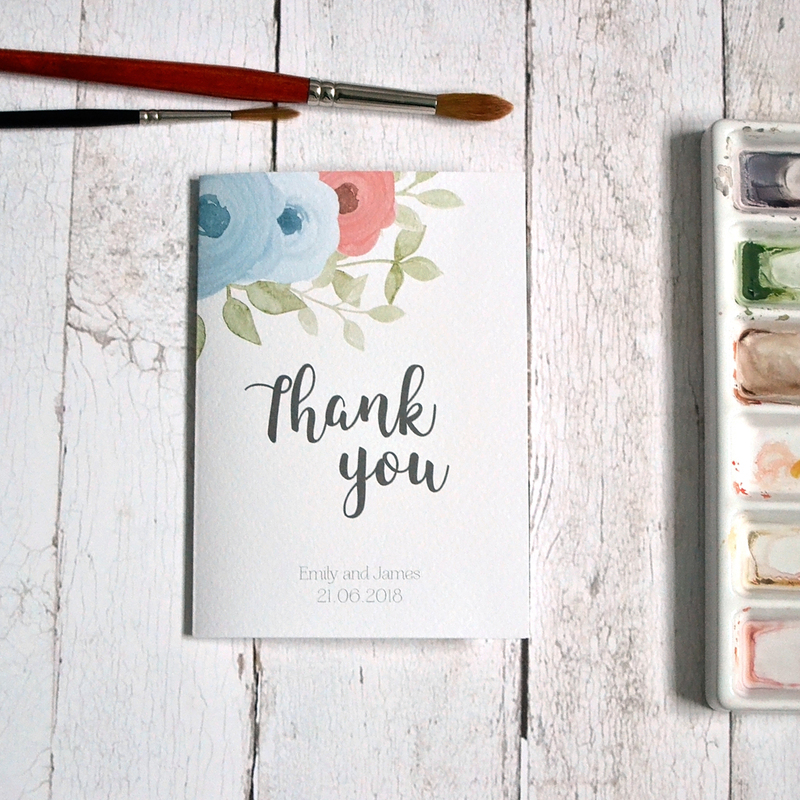 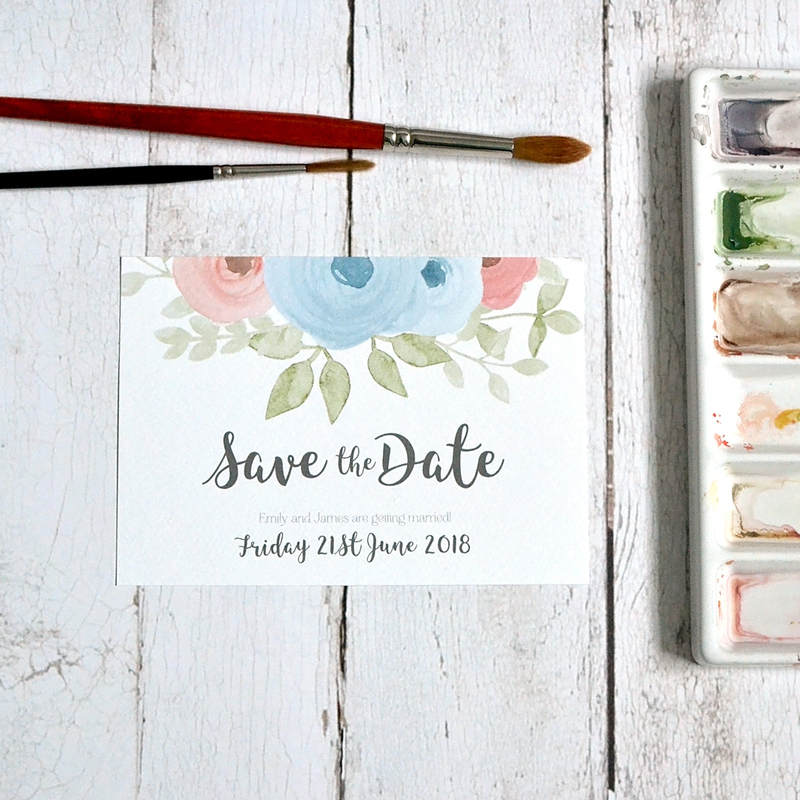 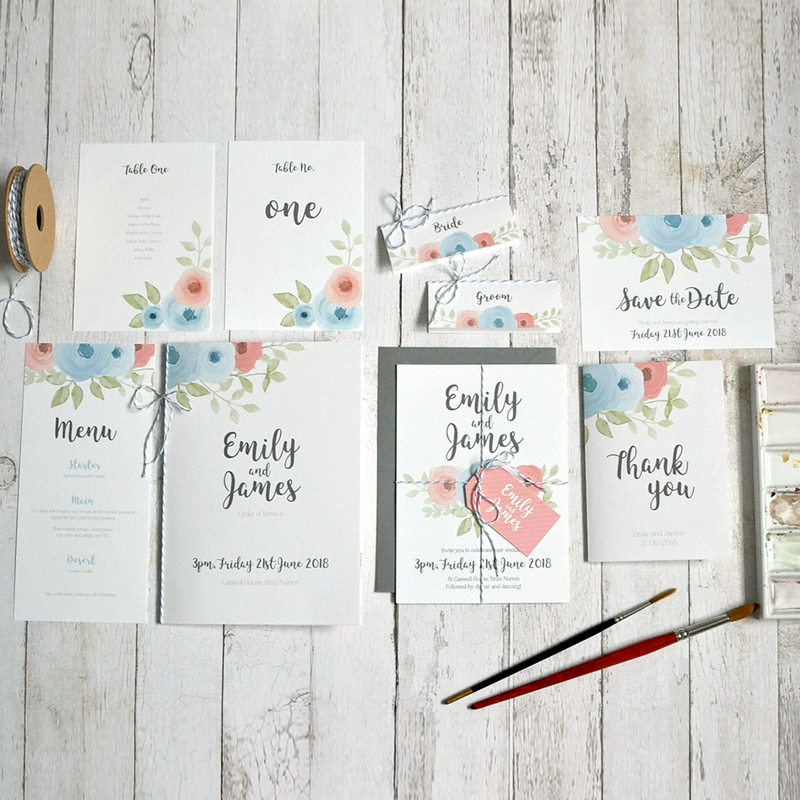 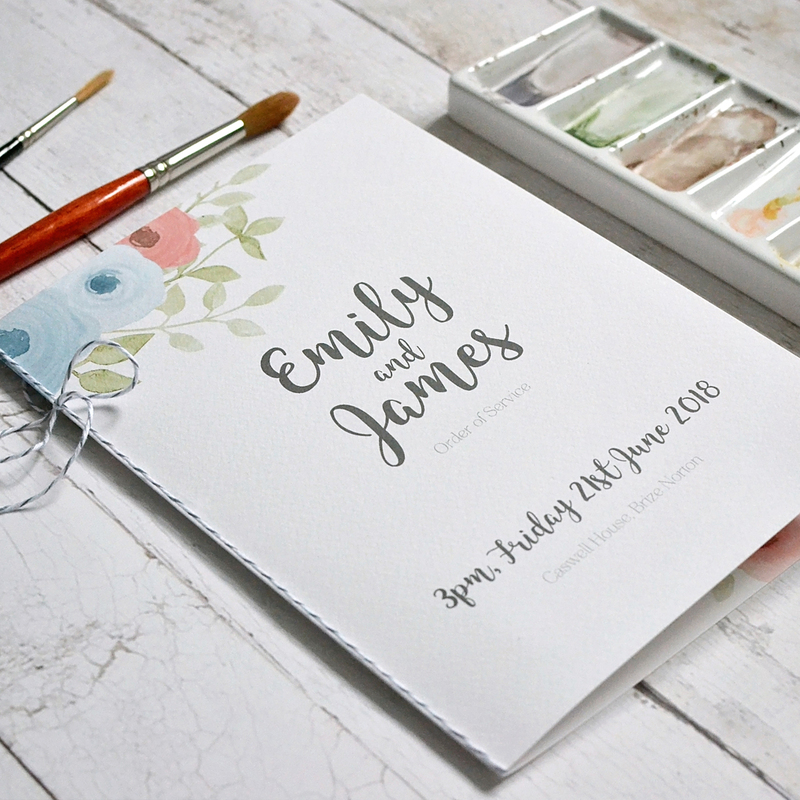 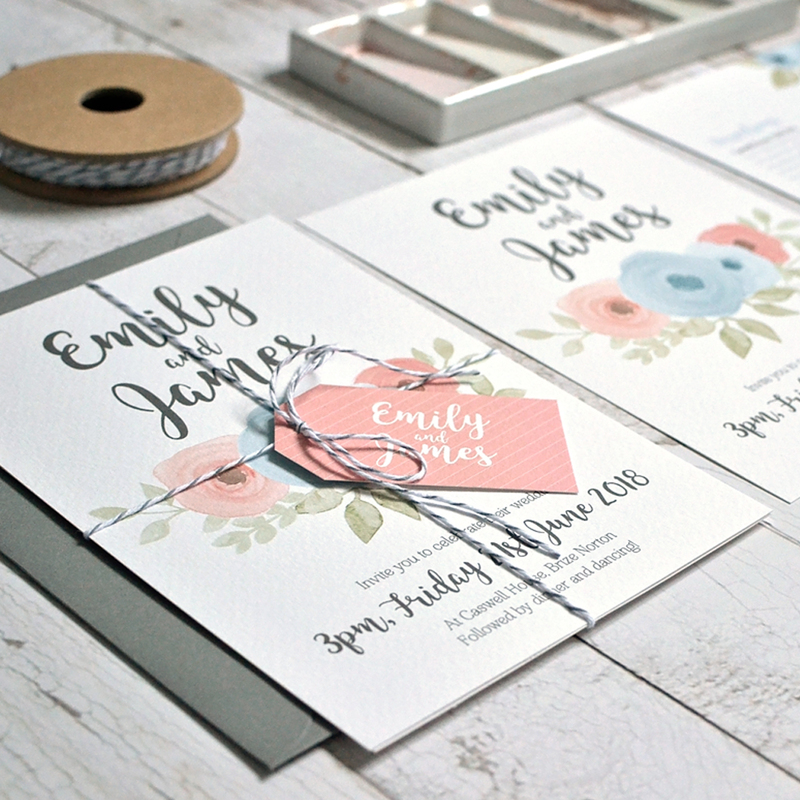 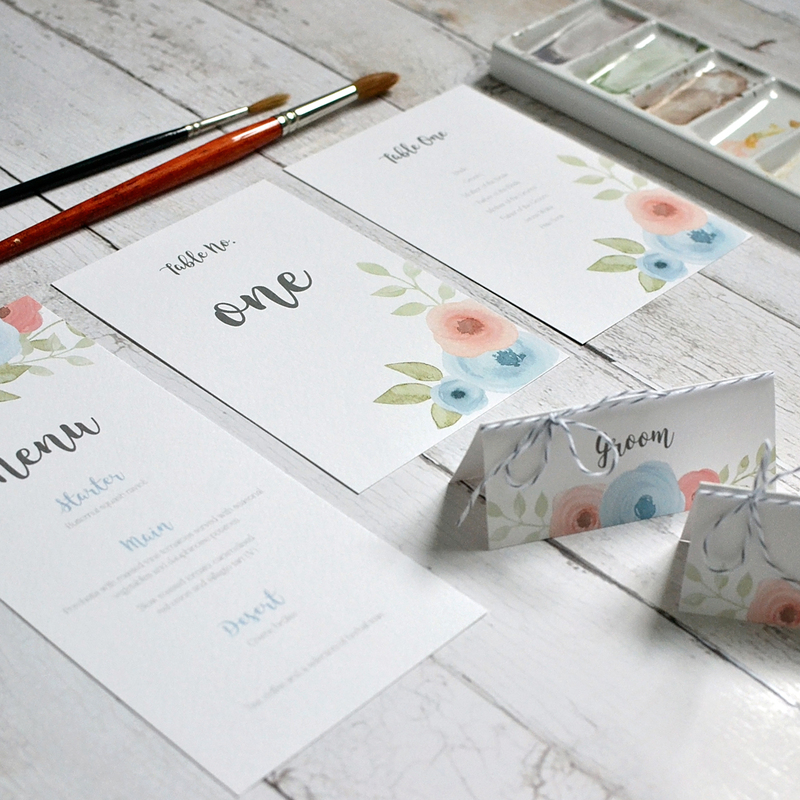 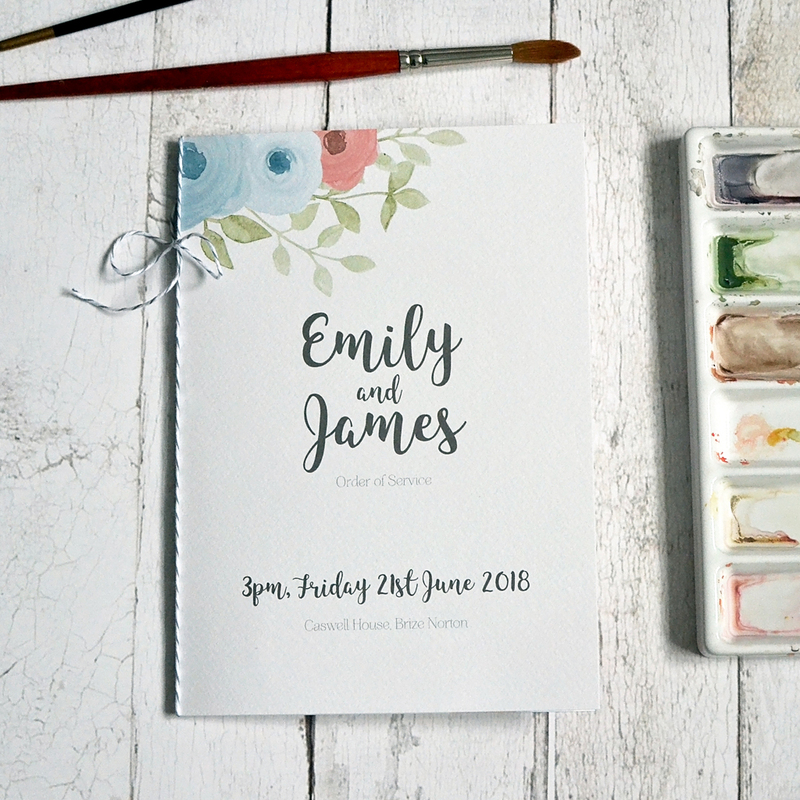 A pretty watercolour wedding invitation with simple painted roses in lovely pastel colours. 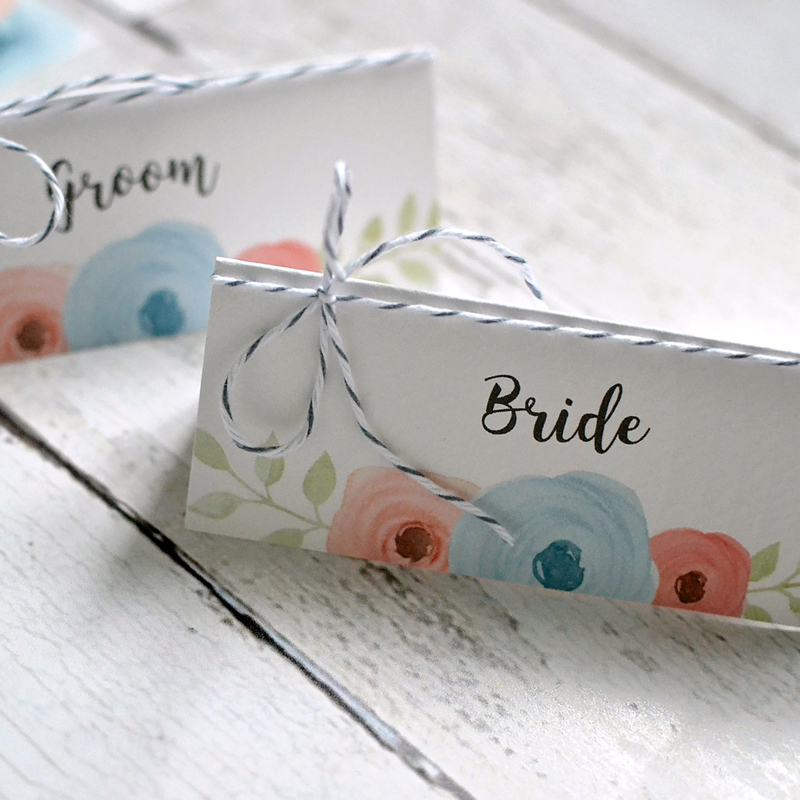 Perfect for a classic wedding or rustic wedding. 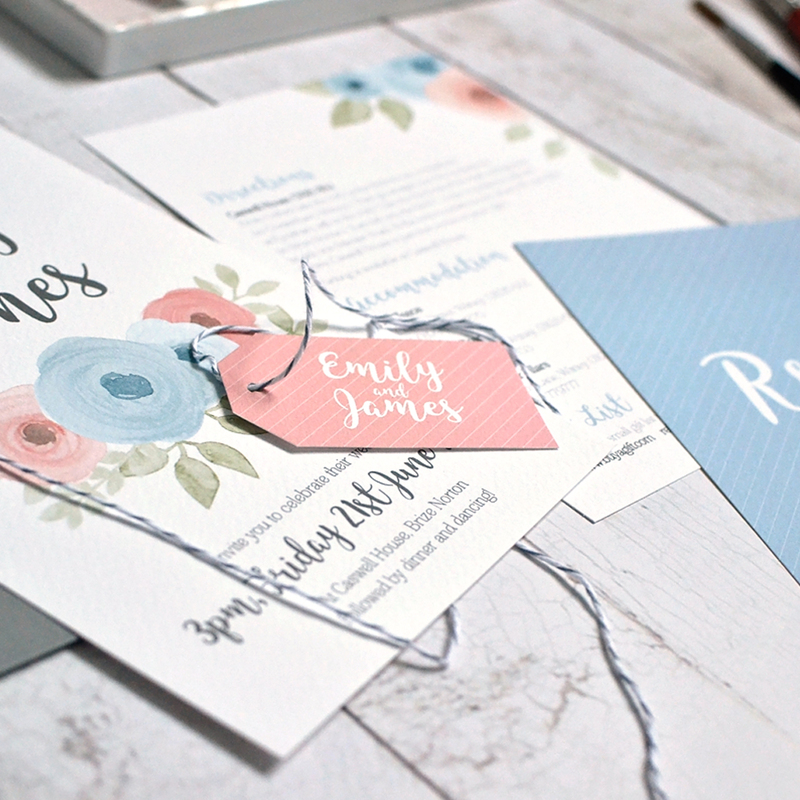 Digitally printed on 250gsm Gesso card and finished with grey and white striped string and a simple tag. 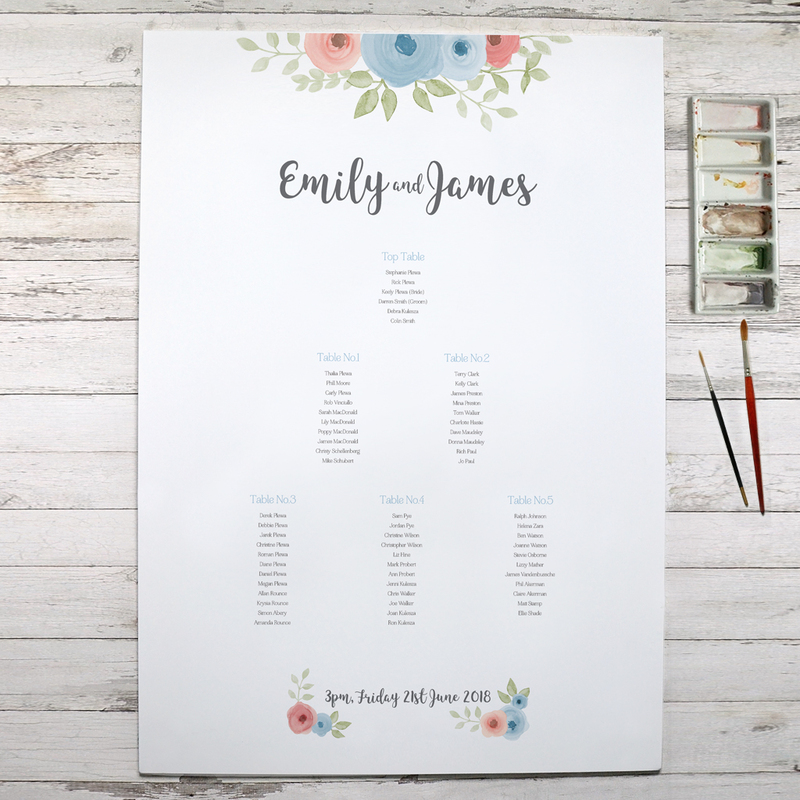 Other colour options available, please contact me to discuss requirements.